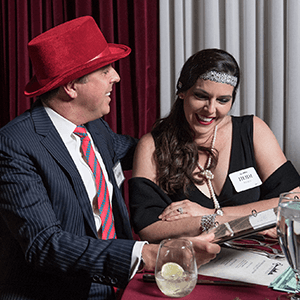 Live-action murder mystery parties are Philadelphia's most unique and engaging way to entertain for privately hosted events. 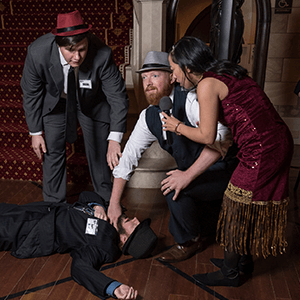 The Murder Mystery Company is Philadelphia’s Expert in Mystery Entertainment. 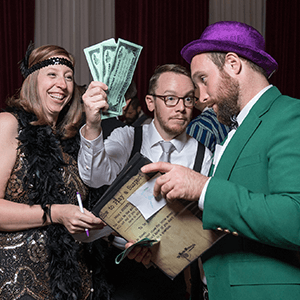 Our professionally trained performers will come right to your chosen venue and bring on the fun with two hours of mystery and murder where you get to solve the crime! 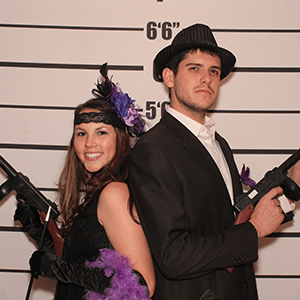 If you are looking for the perfect idea for your upcoming event in Philadelphia, talk with a Crime Scene Consultant today. Join us for a night of entertainment unlike any other at Holiday Inn Philadelphia Stadium in downtown Philadelphia! 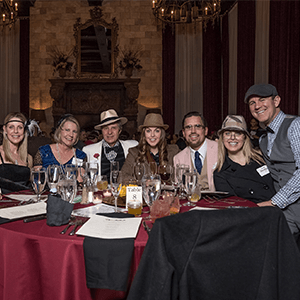 Partake in a murder mystery dinner theater adventure right at your table and enjoy a tasty three course dinner while you sleuth. 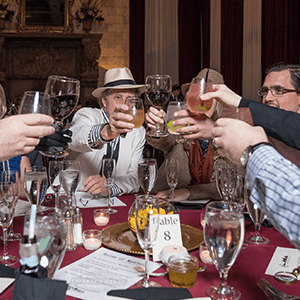 This is sure to be a fun filled evening of murder, mystery, and intrigue for everyone involved!